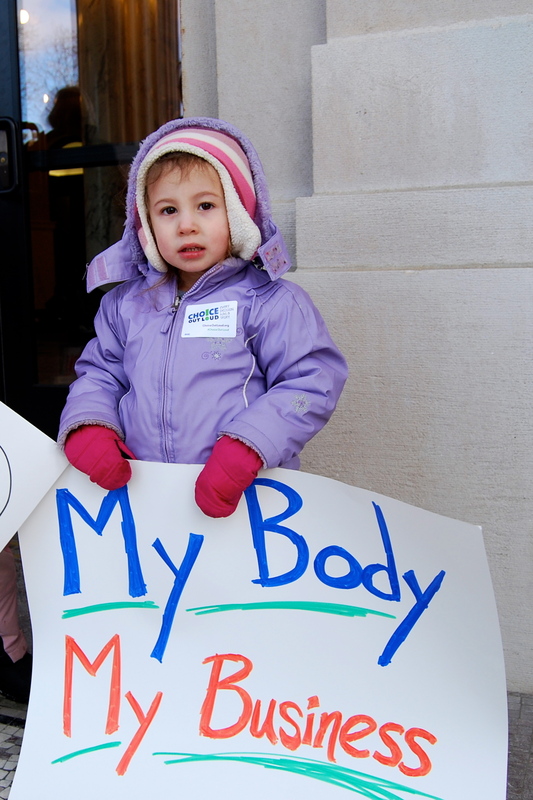 On Friday morning February 15, 2013 pro-choice advocates gathered on the steps of the state Capitol Building in Pierre to protest against House Bill 1237, which was up for discussion and vote in the House Judiciary Committee. HB 1237 redefines the state’s 72-hour mandatory delay and two-trip requirement by applying it only to business days—weekends and holidays are excluded from counting toward the three-day waiting period. 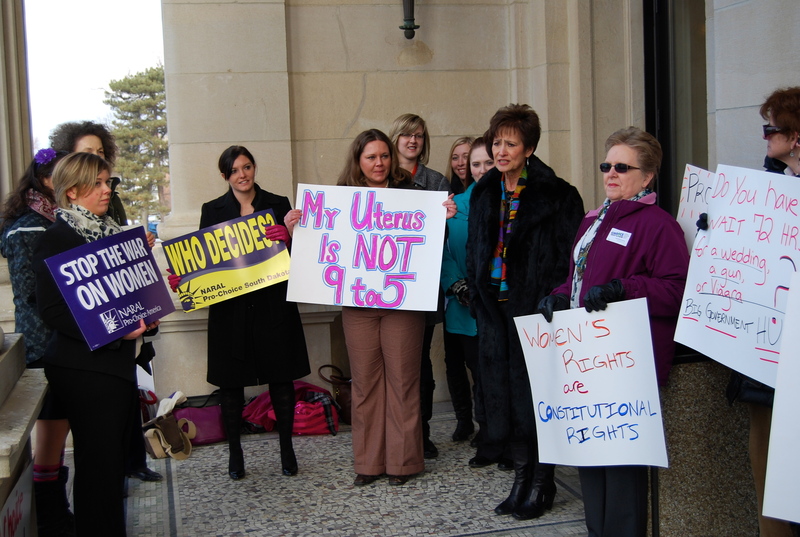 Representative Peggy Gibson and Senator Angie Buhl joined activists on the steps to show their support for killing the bill in the House committee. Rep. Gibson talked about how the bill opposes what South Dakota women believe about making decisions for their own bodies. Holding handmade signs, advocates braved the chilly weather on the steps before heading inside to sit-in on the House Judiciary Committee meeting. After hearing testimony from both the bill proponents and opponents (including our executive director and an intern), the committee voted on whether or not to send HB 1237 to the House floor. Rep. Gibson attempted to kill the bill, but was unsuccessful. Unfortunately, the House Judiciary Committee voted to send the bill onward, with only Rep. Gibson and Rep. Killer voting against it (Rep. Feinstein was excused).